Use import button in the Project page to import your .xls or .xlsx file (you can import both the terms and the translations). POEditor expects the data in the file to be in the following order: term, translation (optional), context (optional), reference (optional), comment (optional). Note: If your terms are string IDs (labels), this language will automatically be set as your project's Default Reference Language after you import the translations. You can change the DRL in Project Settings. Add your desired languages for translation, invite your contributors to join and start localizing your Excel worksheets. 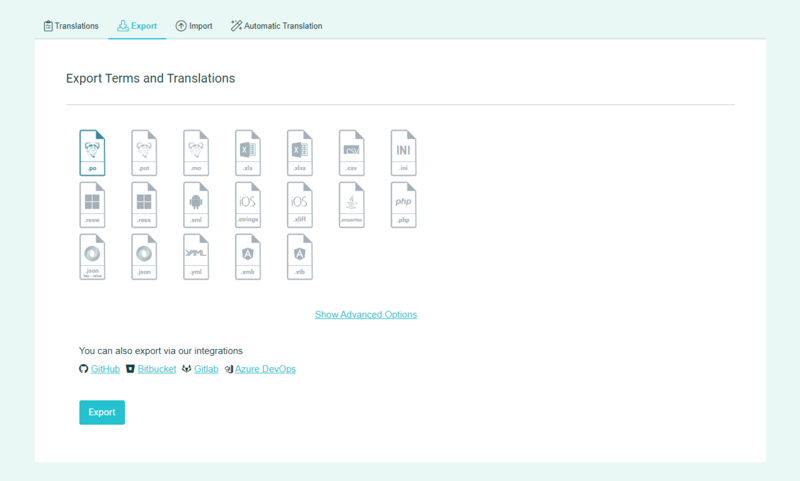 There are also other translation options you can choose from. When the translation is done, you can export each of your Excel .xls files using Export function from Options Menu from the language page.